Amazon is expanding its Dash instant-order capability so smart devices can order multiple items. Companies like HP, Epson and Sears say they are building devices that can detect when you are low on a product and automatically reorder it from Amazon. 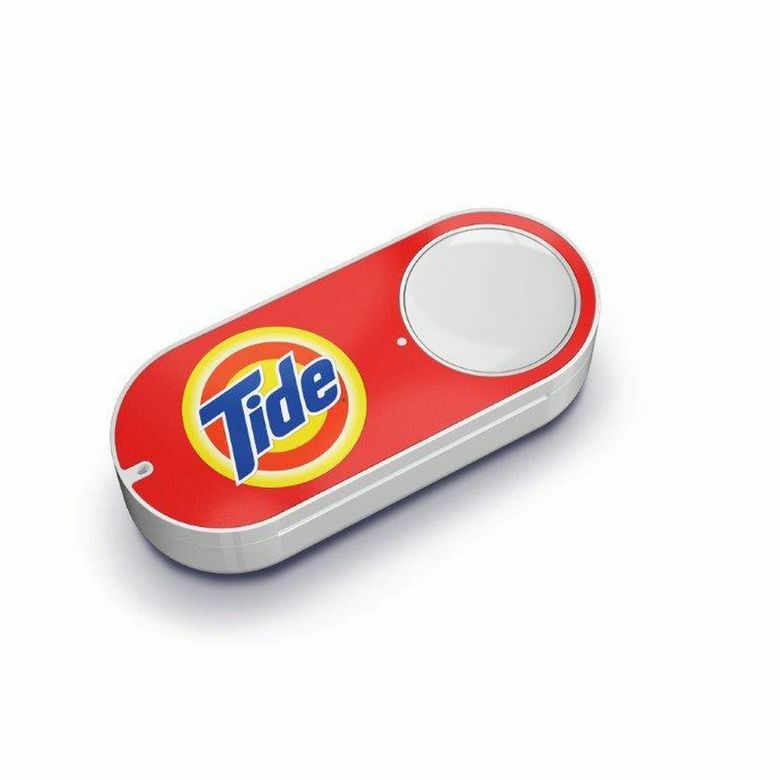 Amazon’s Dash buttons, the devices, about the size of a pack of chewing gum, that instantly order an item from the online retailer, may not be buttons for long. The Seattle online-retail giant on Wednesday launched a set of software-development tools for companies to build an instant-ordering option into their own products that have a screen so customers can toggle through for multiple items. That could open up the capability for an internet-connected refrigerator to order more oatmeal or coffee when you get low, or for a smart washing machine to order among detergent options. Amazon’s Dash program, launched in 2015, began as a set of physical adhesive buttons that could stick on any surface in the household. When connected to Wi-Fi, they offer members of Amazon’s Prime membership program one-click ordering of a single product, like dish-washing soap or paper towels, without opening Amazon’s website in an app or web browser. The company also offered the Dash service to builders of internet-connected home devices, letting device makers program an appliance to order more of a single item — as in a dishwasher from General Electric that places an order for soap when it detects the consumer is running low. The Amazon Dash Replenishment program got an expanded set of participants at CES, the giant electronics-trade show going on this week in Las Vegas. HP and Epson said they are developing printers that automatically reorder ink cartridges from Amazon. Sears is developing a set of Kenmore-branded smart devices built to order supplies when they run low, including a refrigerator, washer, dryer and dishwasher. And 3M is making an air-filtration system that orders its own filter replacements.